The MotorGuide Bounce Buster is designed to prevent trolling motor mount, motor, and boat damage when navigating rough water. Featuring a high-impact plastic tube with a rubber foot, there is a model available to fit any Gator Mount. It attaches using the mount's existing hardware. The tube is cut to the required length for proper spacing between the mount and front deck of the boat. 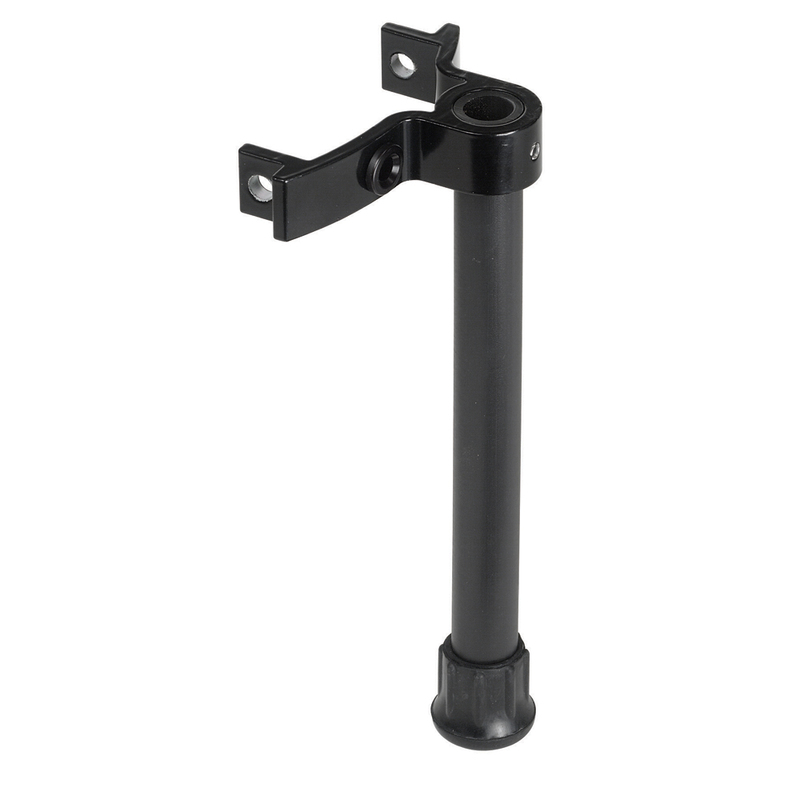 The Bounce Buster pivots off the head of the mount in the stow position to prevent downward momentum caused by rough water impact, keeping the mount and motor rock solid on the boat. In the fishing position, the Bounce Buster cleanly folds out of the way. Perfect for bass boat applications where the front deck of the boat is less than 12 inches of the head of the mount. See the Bounce Buster II rigged on the 2007 Triton Bassmaster Classic Bass Boats.